Waterloo – Three outstanding books have been shortlisted for the 2017 Edna Staebler Award for Creative Non-Fiction. The $10,000 award, administered by Wilfrid Laurier University, recognizes Canadian writers for a first or second work of creative non-fiction that includes a Canadian locale and/or significance. Red Star Tattoo by Sonja Larsen (Random House Canada). Sonja Larsen’s Red Star Tattoo is a compelling story of the author’s youth in counterculture organizations. Larsen’s early political education took place in the communes where she spent much of her childhood. In her teens, those connections led her to join the idealistic but secretive Communist Party of USA (Provisional Wing). Larsen vividly describes the physical and psychological demands of her life as part of a cadre, living in highly regimented circumstances while waiting, somewhat passively, for the revolution. She gradually realizes the ideological contradictions of the group, as well as the implications of her relationship with its charismatic, authoritarian leader. Her account is a coming-of-age story as well as a fascinating tale of living in a committed but ineffectual political group. The Shoe Boy by Duncan McCue (Nonvella). At the age of 12, CBC reporter Duncan McCue, the son of an Ojibwe professor father and a white mother, moved with his parents from southern Ontario to Chisasibi in northern Quebec. The Shoe Boy recounts the loneliness he experienced in that Cree-speaking community, where he was isolated by language and culture, and then of his coming of age within that culture, when, at 17, he spent five months in the bush with a Cree family, learning to hunt, trap, and live on the land with no modern amenities. McCue’s book, succinctly but beautifully written, takes the reader right to the people and places described, and leaves one wishing for more. The Elephants in My Backyard by Rajiv Surendra (Random House Canada). In this unique memoir, former actor Rajiv Surendra shares his story of preparing to audition for a role he felt destined to play — that of the title character in the film adaptation of Yann Martel’s Life of Pi. His efforts include getting up close with a tiger and learning to swim, as well as spending time with schoolboys in Pondicherry, India, which he brings alive through richly detailed and evocative writing. Although he was ultimately unsuccessful at landing his dream role, Surendra, with a fresh voice and an engaging sense of humour, makes a strong case for embracing one’s curiosity and passions to live life on one’s own terms. The winner of the Edna Staebler Award for Creative Non-Fiction will be announced later this month. 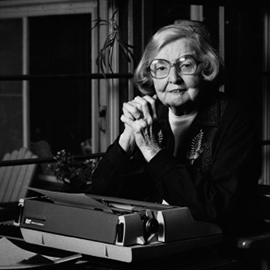 Established and endowed by writer and award-winning journalist Edna Staebler in 1991, the Edna Staebler Award for Creative Non-Fiction is administered by Wilfrid Laurier University, the only university in Canada to bestow a nationally recognized literary award.